Ballet Memphis School uses a kinesthetic approach to teaching traditional classical ballet technique, based on muscular physiology and use of energy. Teachers facilitate learning by utilizing concepts that adapt to and work with each student’s physique and natural aptitude for movement. Our instruction is individualized to best encourage and facilitate each student’s development; and advancement through our levels is based on technical accomplishment, artistic development, emotional maturity, classroom interaction, personal work ethic and readiness for the challenges of the next level. 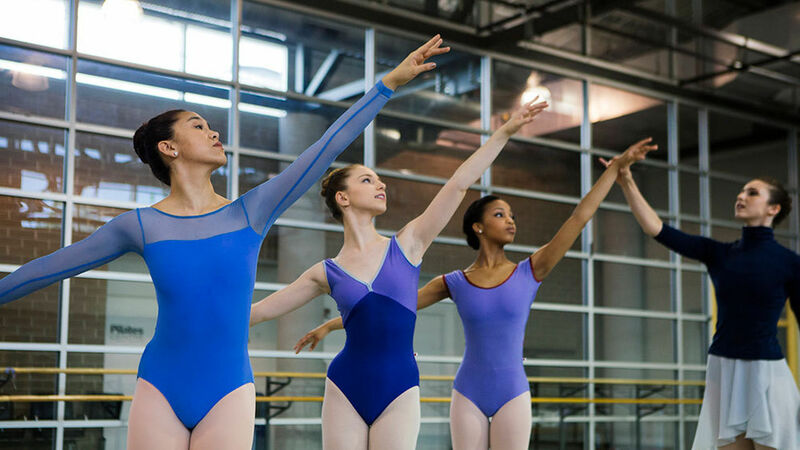 Students are initially placed in Discover Dance and Discover Ballet classes by age. All students enrolling for the first time in one of these classes must be the required age on or before August 15, 2018. Initial class placement for older students will be made by Ballet Memphis School staff based on both age and previous experience. No exceptions will be made on initial class placement. Each student is then continually evaluated throughout the year and moved to another class when deemed appropriate by the instructor or school principal. Generally, students stay at each level for at least two semesters. However, each student’s progress is evaluated on an individual basis. Prospective new students, ages 8-17, with previous classical ballet training, should sign up for a Student Placement/Evaluation. If you're interested in trying a ballet class for the first time, any single ballet class is just $30. New students with no previous classical ballet training can be placed without an evaluation. Please contact Jenna Lester, School Administrator, by phone (901.214.2404) or email to confirm your level before registering. Prompt and regular attendance is expected of all students. Any student more than 10 minutes late will not be permitted to dance but will observe instead. If an absence cannot be avoided, the missed lesson may be made up in another class as arranged by the instructor. Parents are expected to pick up their children immediately following class. If a child must remain late, please notify the school administrative assistant in advance. Students taking the final class of the evening must never be left late for any reason. Please make sure your child arrives to class on time and ready to learn and work. A late arrival does not allow a student enough time to prepare and compose him or herself, and can also disrupt class concentration. Students more than ten minutes late to any class may be asked to sit and observe class. Please remember that Ballet memphis is not a child-care provider. Our fees do not reflect supervision outside of the studio. Students must wait for pick up in the lobby and should not wait outside in the drive-through or on the sidewalk as the lobby receptionist does not monitor these areas. Students must be picked up within 15 minutes of the end of their class. If you are unable to pick up your student in a timely fashion, kindly call the receptionist at 901-737-7322. Parents will be charged a fee of $20.00 per 1/4 hour for any time the staff must wait beyond the allowed pick-up time. Please enter from Cooper only and use the drive-through for dropping-off and picking-up students. There is no parking in the drive-through. Please wait until you are in front of the double glass lobby doors to drop off or pick up students. If your passengers are not immediately available, please exit the drive-through and pull around again. Ballet Memphis School has a required uniform for all students that enables the teacher to best see and evaluate each student. Please see individual class listings for specific colors and styles. The following items should never be worn as they are unnecessary and a distraction to both student and teacher: jewelry, skirts (attached or unattached), underwear, sweaters, leg warmers. Learn how to pull your hair into a proper ballet bun. Leotards, tights, and shoes may be purchased from Barbara's Dancewear in East Memphis, Cordova Dancewear, or online at Discount Dance. Because of our increased visibility in urban areas, and for safety reasons, students must wear appropriate street clothing over their dance attire upon entering and leaving the studio. Ballet Memphis follows the Shelby County Schools’ inclement weather policy. If city schools are closed because of weather, all classes are canceled for that day. If it begins snowing later in the day, please wait until 3 p.m. to call the studio. Whenever possible, up-to-date information will be emailed to registered students, posted on this website and on Ballet Memphis' Facebook page. The 32-week ballet school year is divided into two semesters. Tuition may be paid all at once or in monthly installments. You may register by phone (901-737-7322), in person at the Midtown location, or online. Our classes fill up quickly, so please reserve your child's place in the desired class with a 25% tuition deposit. This deposit is only refundable up until seven (7) days preceding the beginning of each semester. No refunds will be given once the semester begins. The remaining tuition may be paid in full or scheduled monthly on a credit card of your choice. All tuition arrangements and payments for students at both locations are handled by the Midtown School Administrator. As part of their tuition package, all registered Discover Dance and Ballet students receive two tickets to each Mainstage performance and a 20% discount on additional tickets. The Early-Pay 5% discount will be given only to those paying for the entire 2018-19 school year (both Fall and Spring semesters) — either in full or on scheduled monthly credit card payments. Families with more than one student enrolled, and MJCC members (taking classes at the MJCC only) are eligible for special discounts. For a complete breakdown of applicable discounts and fees, please contact Ballet Memphis School. Full and partial scholarships are available to school-age students through age 18 whose circumstances warrant assistance. Financial assistance is awarded for the period of one school year (August through May), and must be resubmitted annually. Financial aid application deadlines are: August 6, 2018, for returning students, and August 20, 2018, for new students. Download the financial aid application. During the last week of each semester the school hosts Parents’ Observation Week. If out-of-town relatives visit during the year, they are welcome to observe class at that time, as well. Students in Ballet 7 & 8 may audition for Youth Ballet Memphis, the nonprofessional performing wing of Ballet Memphis. YBM members often perform corps roles in Ballet Memphis mainstage productions and present their own performances throughout the year. 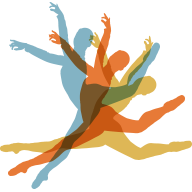 Learn more about Youth Ballet Memphis. Auditions will be held Sunday, September 23, 2018, registration begins at 2:45pm. Students in our Ballet 4 and above levels may audition for Ballet Memphis’ annual Nutcracker production. For more information regarding auditions, please contact us at 737-7322 or school@balletmemphis.org. As a special thank-you for being part of Ballet Memphis School, each registered ballet student (3–18) will receive vouchers for two complimentary seats for each mainstage performance in the semester in which they are enrolled: Take Shape and Nutcracker in the Fall; Small Places and Peter Pan in the Spring. These vouchers may be used for Section B seats, or applied toward the purchase of Premiere or Section A seats. You will receive further instructions on how to redeem these vouchers upon our receipt of your registration and tuition deposit. School families also receive a 20% discount on all additional mainstage ticket purchases. Students enrolled in our expanded dance program only, including adult students; will receive a 20% discount on all mainstage ticket purchases. Discounts do not apply to special events or in-house performances. Our beautiful new space features four studios for classes. Our primary campus, come explore the possibilities. We are pleased to offer some of our classes at our East Memphis studio at the MJCC Markell Dance Center. Sunday, May 5th from 2:30-4:00. Open to all current Ballet Memphis 6 & 7 students, as well as dancers ages 12-18 from the community with a minimum of 4 years of classical ballet and 1 year of pointe training. Please arrive early to fill out the registration form.